Hey everyone, It’s Lisa again! Some of my best memories of Father’s Day consist of my father and I going to our local sports restaurant and ordering tons of food. Even as a little girl, I opted for a full-on steak with a side of french fries and grilled vegetables. My father, on the other hand, would always go for the fully-loaded potato skins and he devoured every single one (while sharing with his little girl, of course). For this year’s Father’s Day celebrations, I wanted to make my father something similar. 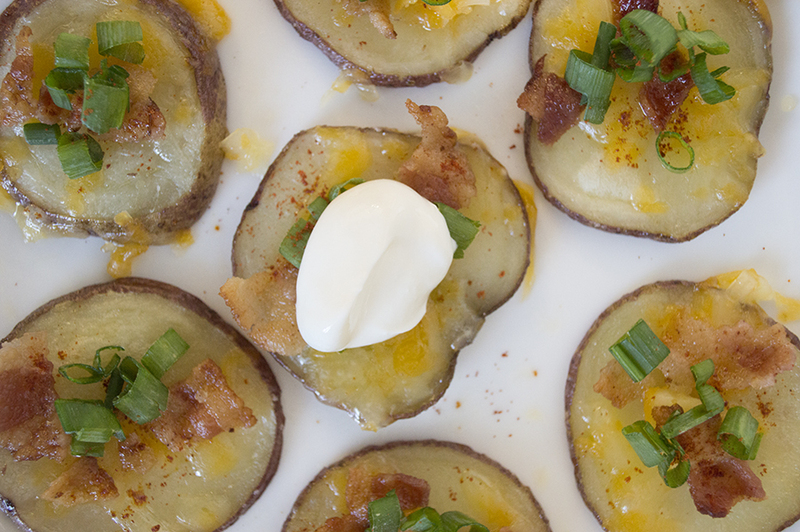 Potato skins are really fun to make, but I find scooping out all of that precious potato innards to be such a waste. Granted, you could always use them for mashed potatoes but I wanted to try to keep my recipe as hearty as possible. 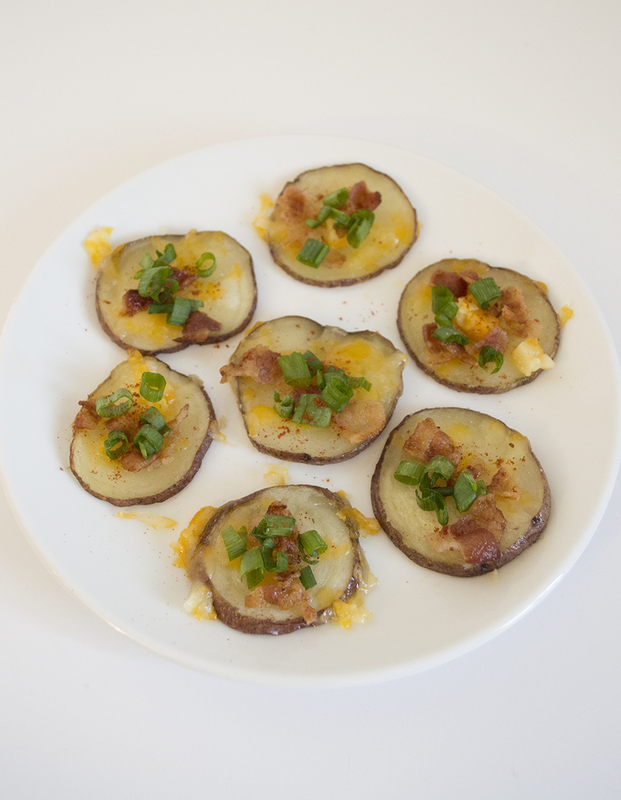 I came up with an alternative: Fully-Loaded Potato Medallions. 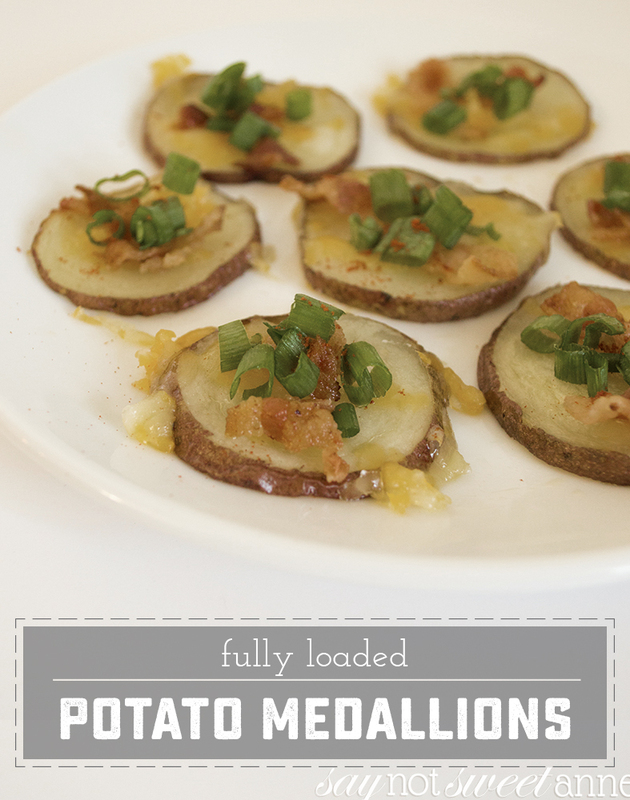 These medallions make a great appetizer while staying true to the “fully-loaded” aspect of your traditional potato skin. 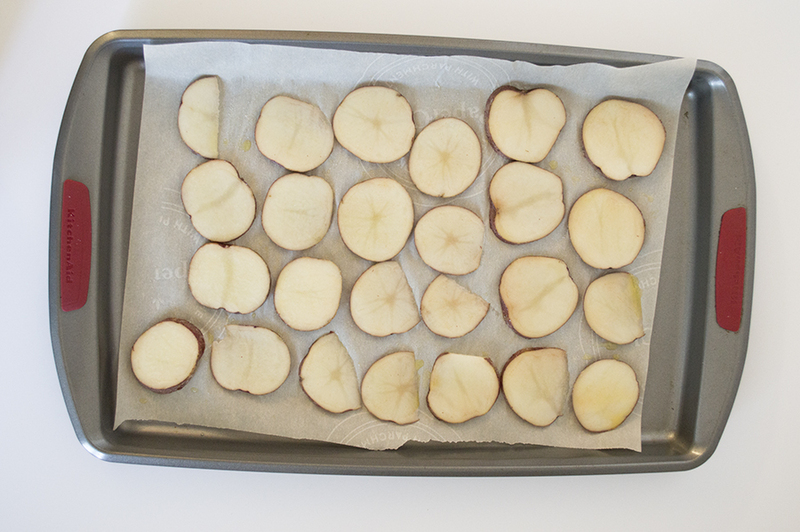 Cut your potatoes in round slices, about ¼ of an inch thick. Lay each one on your cookie sheet and brush with a mixture of oil and melted butter. Next, sprinkle the potatoes with Kosher salt. Bake for 10 minutes, flip over, and bake for another 10 minutes. 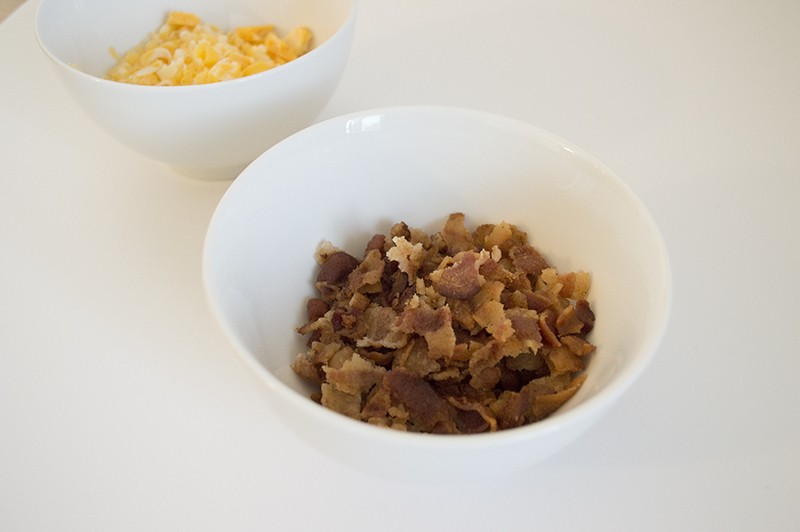 Remove potatoes from the oven and garnish with bacon and cheese. Bake for 3 to 5 minutes or until cheese is melted. Let the potatoes cool for 15 minutes or so, then sprinkle with paprika and your freshly chopped chives. Serve with a side on sour cream and enjoy!